We all started as one single cell. This cell contains all the information to make a complex adult body. Developmental biologists try to understand how this cell will first divide to make a dull ball of cells which will then start making dramatic changes in shape to pattern the future organs of the body. One of the difficult questions is how cells that will form the same structure are able to find one another and sort from the mix of other cell types. In a famous experiment in 1955, Philip Townes and Johannes Holtfreter showed that different cell types had an intrinsic ability of sorting, even when they were completely mixed. They took two different cell types from a frog embryo and mixed them to make a heterogeneous aggregate of cells like you would shuffle a Rubik’s cube. After some time, the heterogeneous aggregate spontaneously evolved to a two-layer structure with each layer containing only one cell type. If only a Rubik’s cube could spontaneously solve itself! A popular explanation for this phenomenon has been brought by Malcolm Steinberg in 1970 who presented his ‘Differential Adhesion Hypothesis’: each cell type has a certain pattern of adhesion molecules at its surface. As a result, adhesion between cells of the same type is different from adhesion between cells of different types. This system seems really analogous to emulsions in which the interfacial energy drives droplets of the same phase together. When you whip oil and vinegar together, you separate the two phases into droplets that quickly coalesce to reduce the total surface of the interface. This ‘Differential Adhesion Hypothesis’ raises the question: is it an analogous process to oil-vinegar emulsions that drives cell sorting? Is there an interfacial energy which sorts the cells? To answer this question, in 1992, François Graner and James Glazier decided to run a computer simulation of cell sorting with the interfacial energy as the driver of the sorting. Previous simulations had been run before, but the geometries of the cells were not realistic. The authors derived their model from the Potts model which was inspired by the classical Ising model used to study the behavior of magnetic materials. The Ising model relies on a discrete representation of space by a lattice with sites occupied by one of two possible numbers, usually 1 or -1, which in the case of magnetization represent atomic spin. In the Pott’s model, the sites can be occupied instead by numbers 1,2,…N, and in the application of the model in this work, the numbers are used to identify individual cells in a two-dimensional system. A region where all the sites share the same number is a single cell; the i-th cell is made of all the sites with the index i. This region needs to be simply-connected, i.e. there is no hole in the region. This idea which was introduced by Renfrey Potts in 1952 has been generalized to describe grain growth and froth systems. In other words, this model shows a pixelated image of a cellular material. with the value of the cell index on the lattice site of coordinates . The area constraint assumes a linear elasticity of the cells: they can be compressed or dilated but the difference between their area and the target area increases the energy with the square of this difference. In addition, they modified the first term so that the interface term is not constant for all the interfaces. In order to study the cell sorting, they introduce different cell types. The interface energy between two cells of different cells type is greater than the one between two cells of the same cell type. In this paper, the authors mimic Townes’ and Holtfreter’s experiment by considering two cell types (they actually consider a third cell type which represents the surrounding media, for which they remove the area constraint). To simulate the dynamics of sorting, they use a Monte Carlo algorithm, which is a common simulation method that uses random sampling to obtain numerical results for complex problems. In short, a site of the lattice is randomly selected and its cell index value is changed to one of the neighboring cells. If this change decreases the energy, it is accepted, if it increases it is accepted with a probability depending on the energy increase. Transiently accepting unfavorable configuration allows to explore a larger region of the energy landscape and avoid being trapped in local minima. In this way, the cell interfaces move along the simulation. They start their simulation from a cellular aggregate of cells with two cell types (grey and black).  The geometry of this aggregate has been produced by running the simulation on a square aggregate with only one cell type and by randomly assigning the cell types afterward. This aggregate exhibits an overall round shape found commonly in biology, and it is made up of cells with classical cell shapes. However, the interfaces are biased towards the 45° direction due to the discretization anisotropy (because of the pixels, the length between neighbors is not equal in all directions). After running the simulation over 10000 Monte Carlo time steps, the cells are able to sort into two distinct layers, in a very similar fashion to Townes’ and Holtfreter’s experiment. Graner’s and Glazier’s model has therefore been able to recapitulate the general evolution of a mixed cellular aggregate by just using the interface properties and the cell deformability. Although this model cannot handle a realistic time and its discretization leads to anisotropic artifacts, it is still widely used to model biological tissues. This paper has been an important step to show that a surface tension exists in biological tissues and can drive morphogenetic processes. Surface tension in biology is still a hot topic today since other ingredients, like the cell contractility (see especially this paper from Carl-Philipp Heisenberg’s lab), have been shown to be involved in the surface tension. (1) The energy is the sum over all the faces between sites. If the two neighboring sites are from different cells, they have different indices , and the Kronecker delta . Therefore adds one to the sum. is the energy of an interface between cells of types and is the strength of the area constraint and is the area target of a cell of type .